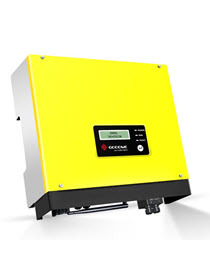 The GoodWe BP series DC energy-storage system is compatible with most single-phase on-grid inverters. Ordinary solar PV systems can be upgraded to PV energy storage systems with the addition of a BP energy storage unit. During the day the PV system generates electricity which is allocated first to any appliances that are switched on. Any excess energy will then charge the battery via the BP energy storage system, rather than being exported to the electricity grid. During the night, the battery discharges the PV inverter. The BP energy storage system improves self consumption ratio greatly. The BP Energy Storage System is compatible with both lead acid and lithium batteries. We recommend pairing it with one or two Pylon 2.4kWh batteries. You can even use one battery and add another later.